How Safe Are Your Bitcoins? Since Bitcoins operate without a central authority, supply is regulated by software as well as agreement by the network, and cannot be manipulated by any government, bank, organization or individual. The original software was designed by Satoshi Nakamoto, a pseudonym, under the MIT license and is open source. Some advantages of the currency include cheaper costs of sending money overseas, fast transactions (faster than any inter-bank transfer), inability to commit chargeback or credit card fraud (as there is no physical number to steal), no risks associated with inflation and ability to mine your own Bitcoins if you have enough computing power. Bitcoin saw a huge rise in trading volume with a 57 percent increase from $15 billion in 2013 to $23 billion in 2014. The number of active Bitcoin wallets, a place to store BTC, has also more than doubled from 3.19 million in 2013 to 7.95 million in 2014. The rise in trading volume can also be attributed to large merchants as well as several small businesses using the currency in 2014. Online marketplaces such as Amazon, Rakuten’s US site, Fiverr.com, TigerDirect and many vendors on Etsy. Payment and funding services worldwide including Square, Paypal, Holland’s PSP Mollie and Nigeria’s Simplepay. Social services like OKCupid, Reddit and 4Chan. Although these services are free to use, the premium services or paid accounts accept Bitcoin. Media sources including TechCrunch, Bloomberg and Chicago Sun Times. Travel companies – Bitcoin.travel is a site aggregator for Bitcoin accepting travel-related merchants. Another major name that accepts BTC is Expedia, which recently merged with Orbitz. This is by no means an exhaustive list of merchants, but it shows the currency is widely used and accepted by a diverse variety of retailers in different industries. Wall Street players have started to take note of some of the advantages that this new currency might bring. U.S. Secretary of the Treasury Lawrence H. Summers expressed that Bitcoin may bring much needed disruption to the financial world to help benefit buyers and sellers rather than the financiers and middlemen. The technology behind Bitcoin could potentially slash costs, cut settlement times and reduce default risks. Unfortunately, there are still hurdles to overcome before the technology can be scaled to a global and mass level of consumption. Security, criminality and price volatility concerns are major issues that must be carefully addressed. Let’s revisit BTC digital wallets. Simply put, it is a piece of software that can send, receive and store BTC. However, since Bitcoin doesn’t rely on financial institutions, users have complete responsibility including security over their money. Therefore, it is common to have two different wallets. The first one can be called a ‘hot wallet,’ which is connected to the Internet and used primarily for transactions and daily activity. The second one can be called a ‘cold wallet,’ which is not connected to the Internet and is consequently less vulnerable to hackers. Many BTC users utilize cold wallets to store savings. To fill the wallets, one can go to a Bitcoin exchange to convert money for BTC or vice versa. Most exchanges would require you to connect with a bank account and the process could take a few days. It is also worth noting that once a payment is sent, it is irreversible and can only be refunded by the person who received the funds. Because of this, hackers may exploit vulnerabilities within wallets and exchanges to steal Bitcoin. A redditor claimed that he lost around $70,000 worth of BTC after it was transferred to another account, which he didn’t authorize. In the post, he also laments that he forgot to enable two-factor authentication for the specific wallet which stored the Bitcoins. Similarly, customers of another digital wallet called Coinbase experienced Bitcoins being stolen from their accounts. Coinbase has then implemented additional security measures including requiring two-factor authentication when sending money. Unfortunately, once Bitcoin is stolen, it is almost impossible to recover. There is also no central clearing house who can take responsibility and refund or guarantee against fraudulent charges. Furthermore, Bitcoin theft is usually performed at the platform level, e.g., exchanges or wallets rather than at an individual account level, leaving the user unable to prevent these attacks. 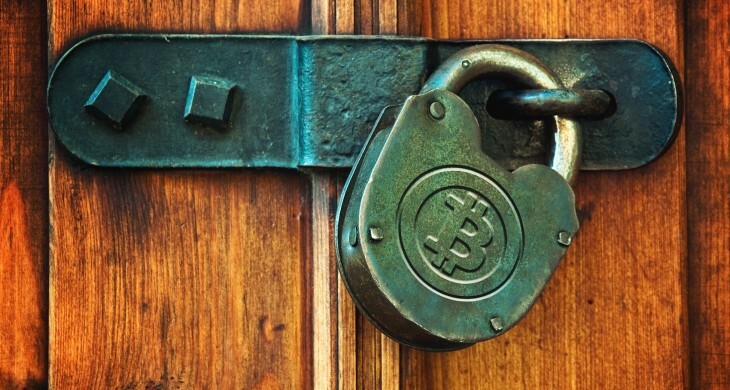 To secure your Bitcoins from theft, enabling two-factor authentication is strongly recommended. Using phone number verification is ideal as a form of two-factor authentication. This involves sending a one-time password (OTP) to a user over a separate communication channel (SMS or voice) than the IP channel (Internet) used by the Bitcoin exchange or wallet. If payments can only be made after the user has correctly entered the OTP in the Bitcoin exchange or wallet, this will effectively prevent unauthorized transfers unless the fraudster is also in possession of your mobile phone. Aside from sending payments, phone number verification can also be required for registration, login, resetting passwords and authenticating changes made to your Bitcoin exchange or wallet account. Bitcoin theft might be irreversible, but you can prevent it with an extra layer of protection.